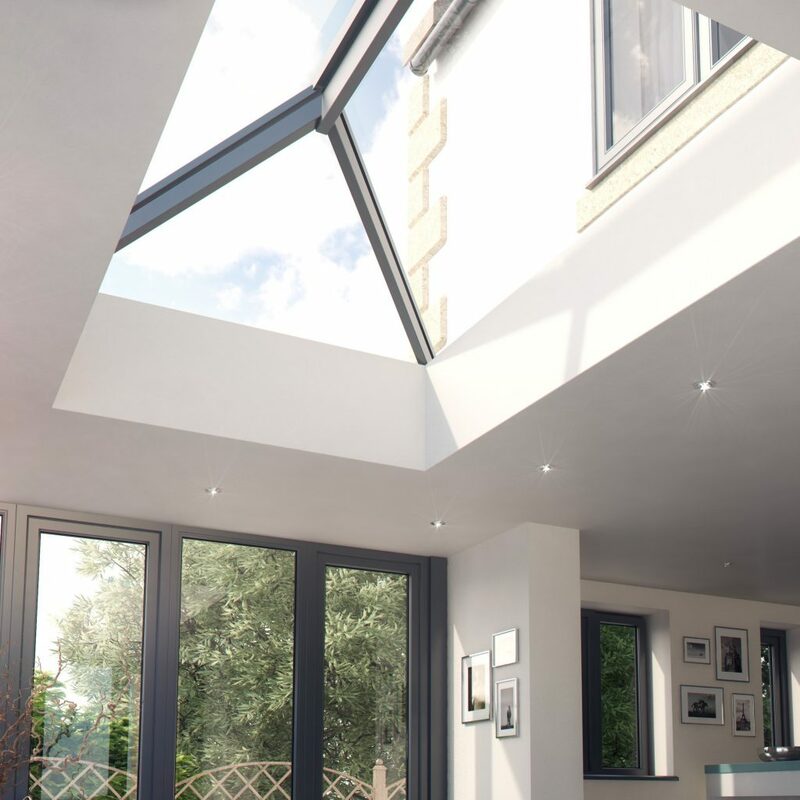 Our Contemporary Style Aluminium Roof Lanterns are pure engineering genius. Super strong but super slim-line aluminium glazing bars create clean lines with outstanding thermal performance. When compared against a more standardised PVCu capped conservatory/lantern roof offered by competitors you will discover our 40mm wide glazing bars and internal ridge section can reduce the visible width and sight-lines of the rafters by up to 30% and the main internal centre ridge section by as much as 70%. Again this ensures the maximum amount of glass area and natural light is achieved. 1. THE ULTIMATE SLIM ROOF FRAME. 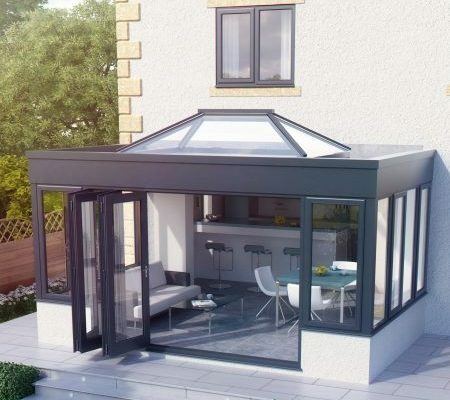 An unrivalled contemporary style with its slim roof frame showing ultra slim sight lines and minimal rafter bar intrusion. Its engineering excellence eliminates the need for bulky ridge detail, bosses and hoods. Our unique system design is pure engineering magic. Super strong, light, 40mm aluminium frame rafters create slim, elegant roof profiles with excellent thermal performance. Compared to conventional roofs sold by competitors, Atlas slashes the visible width and sight lines of rafters by 30% and the main internal feature ridge by 70%. The slimline thermally broken aluminium rafter sections have a sleek appearance that brings a stylish ambiance and modern finish, while maximising the use of light and space within your home. From the outside, the discreet design for rafter external caps and slimline ridge are a world apart from the chunky conventional T-bar caps and ridges used by competitors. 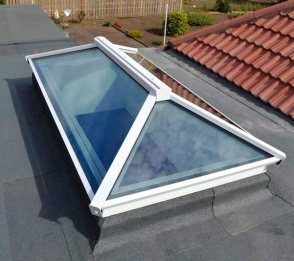 By keeping sight lines low and unobtrusive, Rooflight ensures even a large glazed roof structure won’t over dominate a plot. 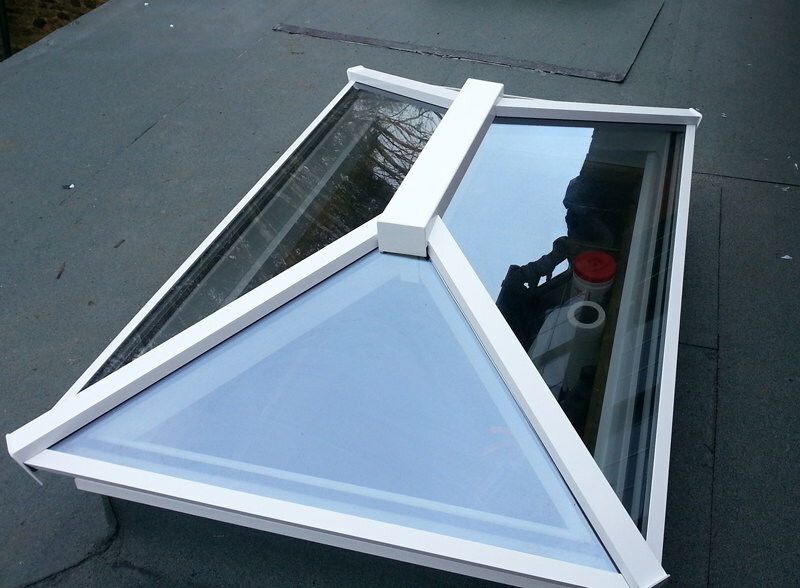 The Company means Rooflight Express Limited. The Dealer means Trade customer. The End User means the Dealers customer. In accordance with the Company’s Quality Control procedure, all goods are checkes prior to despatch to ensure that they comply with the description in the catalogues and/or other supporting literature. Goods or materials which prove to be defective or faulty will be replaced free of charge within the periods from the date of delivery as follows, provided the Dealer has paid in full any outstanding balances. The dealer should notify the Company promptly in writing of any defective materials requiring replacement within 3 days after delivery. The Company’s liability in respect of replacement parts supplied under the guarantee shall not continue beyond the date of expiry of the guarantee of the original part. Particular care is taken in Packaging and Despatch of all materials and goods to ensure their safe arrival. If any damage or shortage should occur in transit the Delivery note must be endorsed accordingly and the Company notified within 3 days. The Company reserve the right to forward replacement parts to make good and shall not be liable for payment for any items purchased by a Dealer elsewhere without the Company’s consent. In every case liability shall be limited to the cost of replacement parts and shall not extend to any other expenditure incurred or consequential loss. The Company reserve the right to request the return of goods or material claimed to be defective or faulty. In the event of them not being defective through normal wear and tear, then the Dealer will be responsible for all costs incurred. Damage due to accident or misuse or premature deterioration resulting from Dealer or End Users failure to reasonably maintain the materials is not covered by these warranties. This sets out the full liability of the Company and the Company shall not be liable for any additional labour costs or claims for the consequential loss of any nature whatsoever. No guarantee (expressed or implied) is given as to the fitness of the goods for any purpose other than that specified in the sales manual and supporting literature. What size shall I measure? 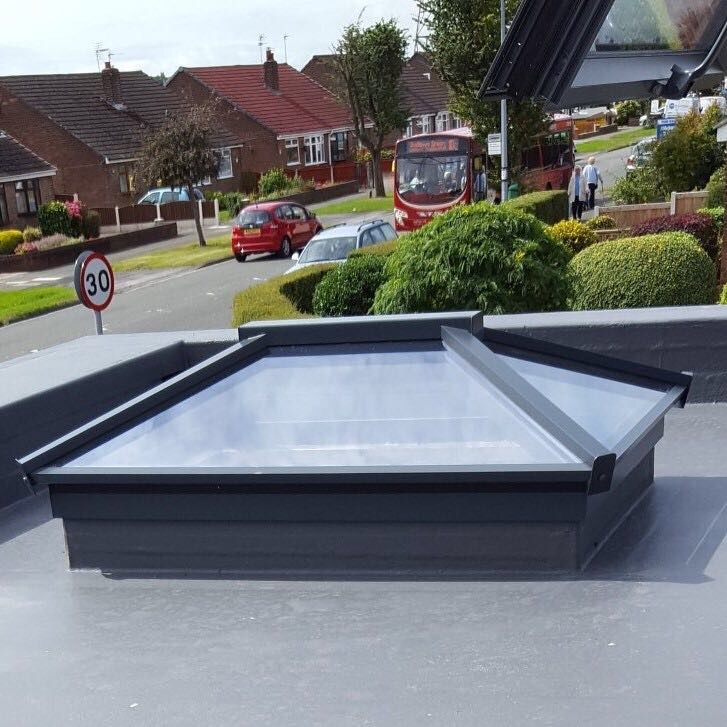 Our Contemporary and Regular Lantern Roofs are designed to fit on a minimum 90mm wide x 150mm deep timber kerb. Both Lantern system stock sized roofs are based upon External Kerb dimensions. What is the U Value of these roofs? Total lantern u-value of 1.2 w/m2k achieved when double glazed as standard or 1.0 w/m2k when tripled glazed as optional extra. 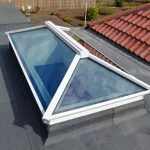 Can we see a sample of your Rooflights? Yes we have a Regular lantern installed within our showroom in Uckfield. Do the roofs come in kit form? Yes the Contemporary and Regular lanterns are delivered in kit form with easy to follow instruction. The size I need is not on your website, do you manufacture bespoke sizes? Yes we do, please email us on Contact Us with your requirements. Do you do any other colour finishes other than the ones advertised? Yes on the product pages is a RAL Colour chart from you to select from, please Contact Us for your bespoke price. How are the lanterns delivered? 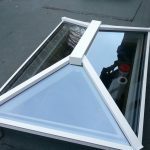 The Roof Lanterns are delivered in kit form in one delivery and the glass will be on a separate delivery for you. Easy to follow instructions are included and also available to be downloaded on the website under Technical.